This post brought to you by Breyers. 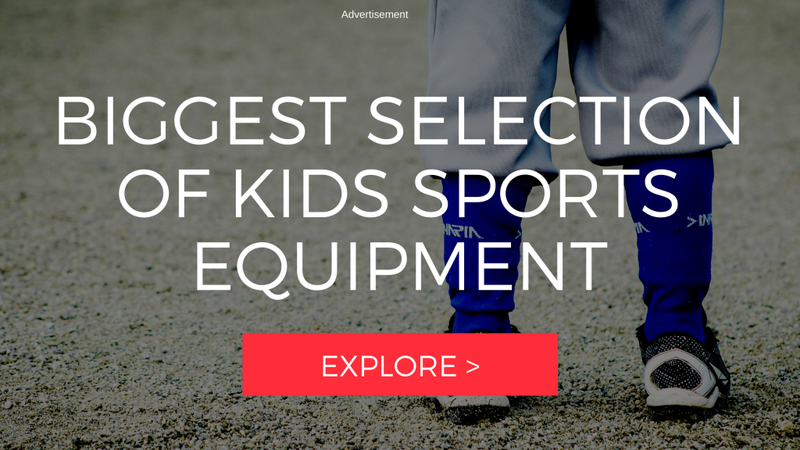 The content and opinions expressed below are that of Sports Mom Survival Guide. As a busy parent, we all seem to be running from one thing to the next. I don’t know about you, but the easier something is the better…especially in the kitchen! I LOVE quick, easy and delicous recipes. 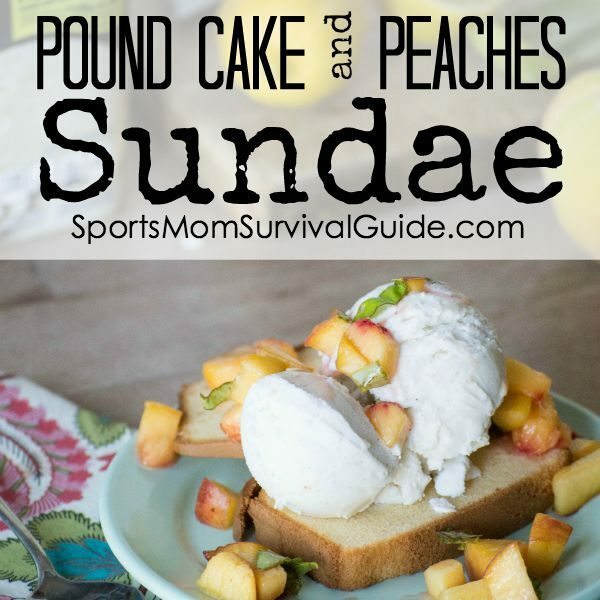 A few weeks ago I tried this pound cake and peaches sundae and it was a hit! The best part is that it only took about 10 minutes to whip up. I got a pre-made pound cake in the freezer section and just toasted a few slices under the broiler, then made the topping…peaches, basil, lemon juice and a little sugar. I topped the cake with a scoop (or two!) 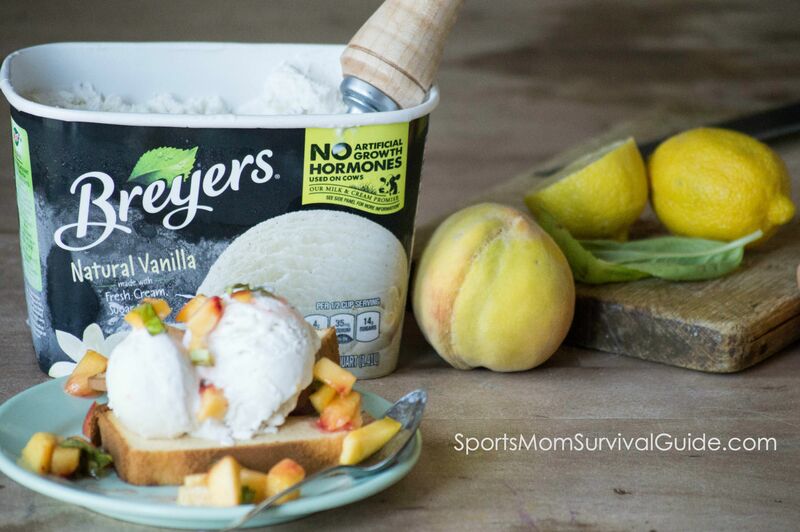 of Breyers Natural Vanilla ice cream and the peach topping. The basil adds such a great punch of flavor and takes this dessert over the top. I also love using Breyer’s ice cream because they are commited to using high quality ingredients. They source their milk and cream from cows not treated with artificial growth hormones* (which is REALLY important to me!) and their Natural Vanilla is made using sustainably farmed, Rainforest Alliance Certified™ vanilla beans. Mix peaches, lemon juice, sugar and basil in a small bowl. To make each sundae, place a slice of toasted pound cake on a plate, then top with a ¼ cup scoop of Breyers® Natural Vanilla Ice Cream and cover generously with macerated peaches.